Investing in low-carbon technologies can make good business sense, especially if the technology solves multiple problems, say executives at Intel, Walmart and Alphabet. Intel has invested in renewable energy and energy efficiency for many years, to cut its environmental footprint and save money on its power bills. Now, the Silicon Valley chip maker is going all in on autonomous-vehicle technology, which company leaders believe will be lucrative as that market grows, and also will help reduce greenhouse-gas emissions to fight climate change. Intel views climate change as a problem that requires reductions in energy use at its operations, but it also views the transition to a clean-energy economy as a business opportunity, said Todd Brady, director of global public affairs and sustainability at Intel. “We’ve made heavy investments in autonomous vehicles … and investments in technologies that give us a smarter infrastructure, smarter building, smarter home, which in turn can lead to higher efficiencies and a reduction in greenhouse-gas emissions,” he said, speaking at a recent clean energy conference in San Francisco. Investments in autonomous vehicles and technologies for smarter infrastructure, buildings and homes can lead to higher efficiencies and a reduction in greenhouse-gas emissions. Intel is contributing technologies for sensor processing, general computing and connectivity to a partnership with Alphabet self-driving car unit Waymo, and is involved in separate projects with BMW and Delphi. The company also offers smart-grid applications to electric utilities and energy-management applications to building managers. Autonomous vehicles are among a suite of killer apps that Alphabet has developed to do more than simply generate a profit, said Astro Teller, captain of moonshots (yes, that’s his title) at the company’s X unit. The benefits of having computers driving cars, versus humans driving cars, have benefits in miles driven. Some researchers predict that autonomous vehicles will be able to employ fuel-efficient driving habits and otherwise reduce the number of miles or kilometers covered in a trip, as computers determine the most efficient routes. Machine learning can be applied to other sectors to conserve resources, boost energy efficiency, save money and fight climate change, Teller added. For example, DeepMind, an artificial intelligence company that Alphabet’s Google bought in 2014, has helped the company reduce the amount of energy it uses to cool its data centers by 40 percent, which saves money and greenhouse gas emissions. Machine learning can be applied to other sectors to save money and fight climate change. Alphabet has spun off other clean-technology companies, including Dandelion, a startup that provides next-generation geothermal home heating and cooling systems, and Flux.io, which makes data-sharing software for building construction and design. 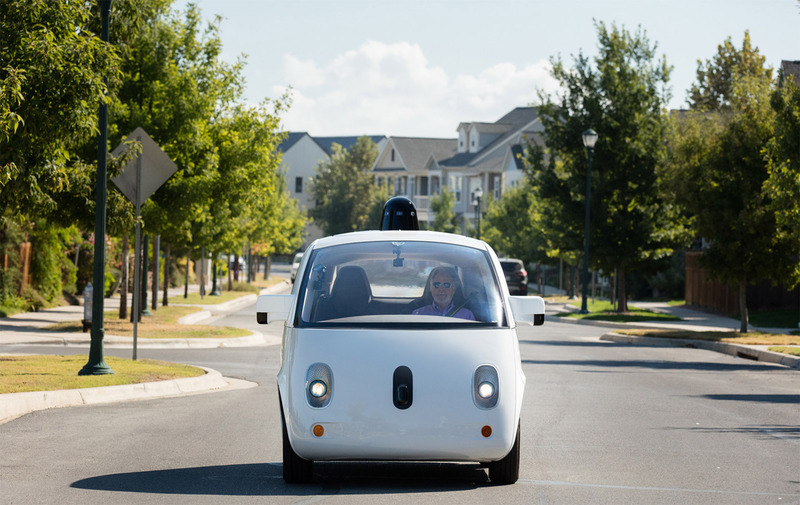 Global investment in self-driving car technology has exceeded $80 billion over the last three years through June, according to an October report by the Brookings Institution. The report predicts that artificial intelligence capabilities soon will be applied to other sectors. Meanwhile, new global investment in clean energy is on track to match or exceed the $287.5 billion invested last year, according to Bloomberg New Energy Finance. Those investments, which primarily target solar and wind power projects, venture capital in clean-energy startups and clean-tech IPOs reached roughly $190 million from January through September, up 2 percent over the same period of 2016. For some of the largest transportation companies, the idea is not simply to automate vehicles to be safer, more productive and more fuel-efficient, but to switch to clean energy. Walmart plans to test electric semi-trucks made by Tesla, as part of efforts to adopt new technologies that boost efficiency and productivity while also cutting costs, fuel usage and carbon emissions. Tesla’s electric trucks are also part of Walmart’s plans to eventually switch all of its vehicles to renewable energy, said Kathleen McLaughlin, Walmart’s senior vice president and chief sustainability officer. The giant retailer reduced emissions and saved $1 billion on fuel by doubling the fuel efficiency of its U.S. trucking fleet from 2005 to 2015. Now, the company is working with its suppliers to help them reduce a gigaton of greenhouse-gas emissions by 2030, by beefing up efficiency and making improvements in manufacturing, materials and their use of products.